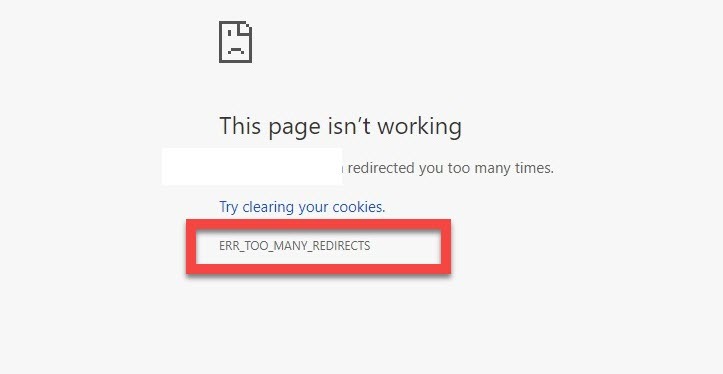 If you trying to access a website on Chrome browser you may face the error Err_Too_Many_Redirects. So, what is Err_Too_Many_Redirects error and reasons for the error and how to fix the error? The Err_Too_Many_Redirects is a type of too many redirects error which leads to redirect loop. This error pops up for various reasons but the common the reasons are, wrong time and date of your system that does not match with the server time zone and date, redirecting through the cookies of the browser, when redirecting through the Wp SEO Yoast plugin and .htaccess file and when using old theme and plugin. Step 1. Right click on the task bar near the area showing the time then select Adjust Time and Date. This will open up a box showing Date and Time properties/settings. Step 2. In the date and time settings, you click on Date and Time Settings. Step 3. Then, click on the Change Date and Time button> click on the Change Time Zone button. Step 4. You can now manually set the date and time from the calendar and clock shown which should match with the server date and time. Step 5. Click OK to save changes. Then restart your browser and check that the issue is solved. Step 1. Open your Chrome Browser. Step 2. On the top right corner of the browser, you click on the 3 line button. Step 3. Navigate to the History from the page that appears. Step 4. Find and click on the Clear Browsing Data button. Step 5. From the dropdown menu, select the beginning of time option. Then click on the Clear browsing data button. This will delete all the browsers cookies and cache on Chrome browser. You can close your Chrome browser and then try to access the website you want. Wp seo yoast plugin also cause this problem when you configure the plugin incorrect. Hence, go to the plugin settings and change your website URL in the right place. If you are using any redirect plugin then you need to check it if there is something wrong with the configuration. Check the PHP My Admin file in the cpanel. Contact your hosting provider and tell them details about the Err_Too_Many_Redirects error because they can help you to resolve this problem. What is a DPC watchdog violation error? How To Fix It? What is CompatTelRunner.exe Microsoft Compatibility Telemetry and How To Disable It?